Friday, 9 November 2018, 9:31a.m. 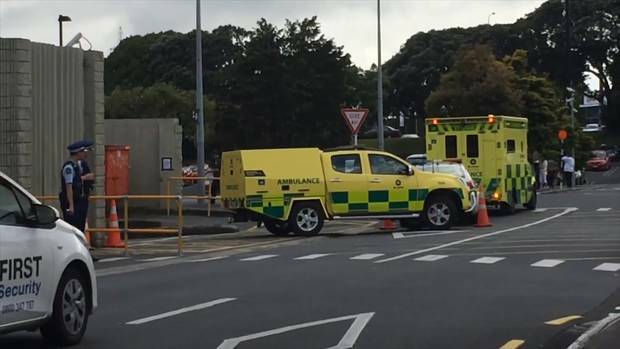 A major Auckland shopping mall was evacuated as a man held a pregnant woman hostage, with a knife at her throat. Police successfully defused the situation, with the arrest of the man about 10am, an hour and a half after the incident unfolded. 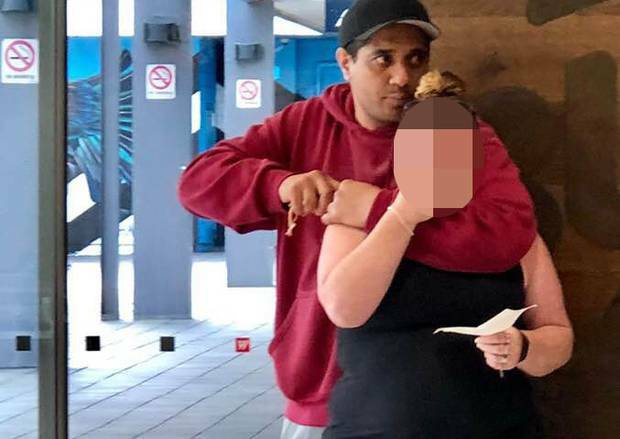 The man, wearing a baseball cap, held the knife to the woman - who witnesses say is pregnant - near Burger King inside the food court at Manukau Westfield. 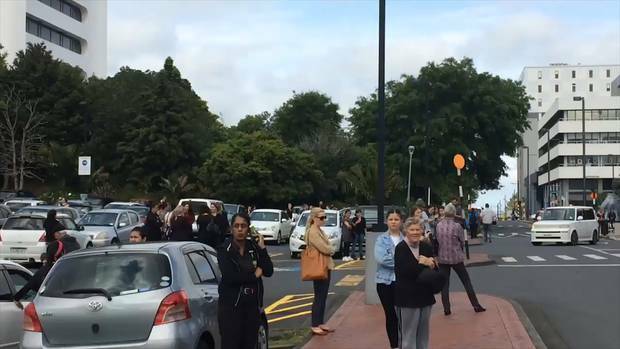 Silvermoon store manager Aarika Parmar described the terrifying scene that unfolded about 8.30am on Friday morning. The man ran towards the end of the food court and grabbed the woman by the neck, holding the knife against her, she said. A security guard ran towards Parmar and said: "You need to move, you need to get out." "He's got a knife. He's got a knife that's all she (another witness) said." People were frozen as they watched on in fear, she said. "Everybody wanted to know what was going on." Parmar said the man took the woman outside with him, and security followed. A video of the scene shows police officers trying to negotiate with the man. He was wearing a red top, and was seen waving his right arm and knife at police. The police helicopter had been hovering over the mall for the last half hour, a resident said. Another witness said she was about to start work when she and other staff and shoppers were told to evacuate. The 26-year-old said the incident began about 8.40am but it "didn't really become an issue" until about 9am. She knew something was amiss when she saw a cop running to the corner of the foodcourt, so she also went over to get a closer look and began doing a short video. 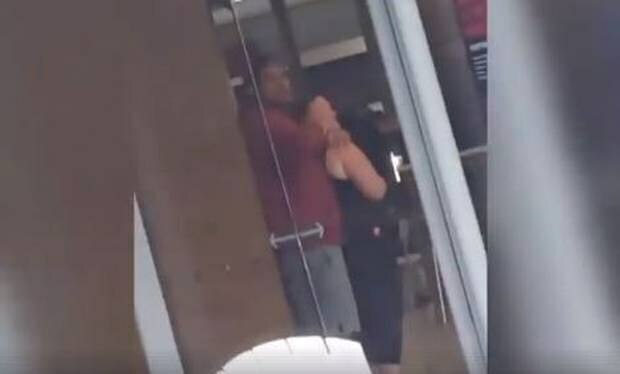 The video shows a man holding a knife up to a woman's throat. The witness said she understood the woman was pregnant and unknown to the armed man. The woman's daughter, believed to be about 12 years old, was left stuck outside only to watch on as the incident unfolded. She said onlookers felt sorry for the woman after she was set free and walked out of the building about 10am. "It looked like she was really upset, she was crying and looked really scared." When she first began filming she said she thought the guy was "just another idiot". But then as the incident dragged on and police arrived with guns, she knew it was more serious. "Then I thought OMG I hope nothing happens." Mariam Waled, a customer services representative for Westfield Mall, said she spoke to the victim's daughter and they were up from Christchurch. The daughter said her mother was pregnant. "He was holding the knife and telling the security guards to move out," Waled said. "Then he saw the lady and put the knife to her neck." Waled said it appeared to be a random attack. The mall has now reopened and people are returning to work. A witness said the man held the knife to the woman's neck for approximately an hour and a half. The woman was uninjured, they said. information when we we are in a position to do so."